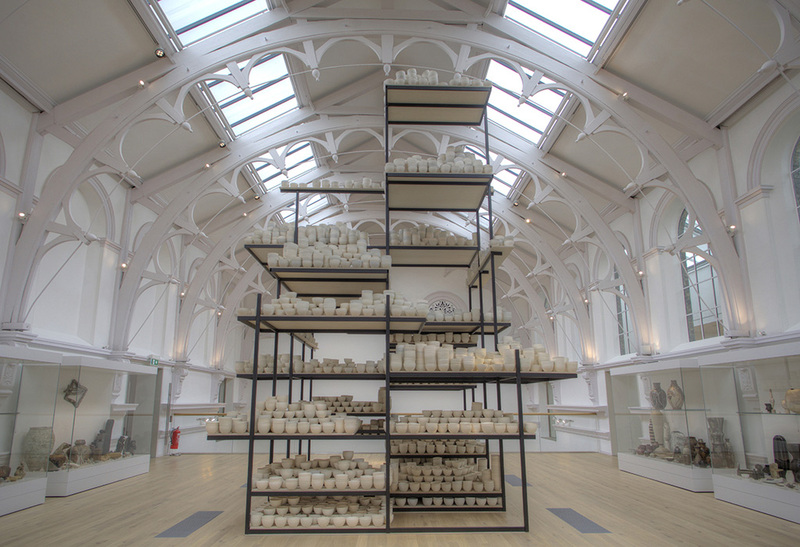 In Manifest: 10,000 Hours, the work examines cultures of making and skill and the historical learning of skills. 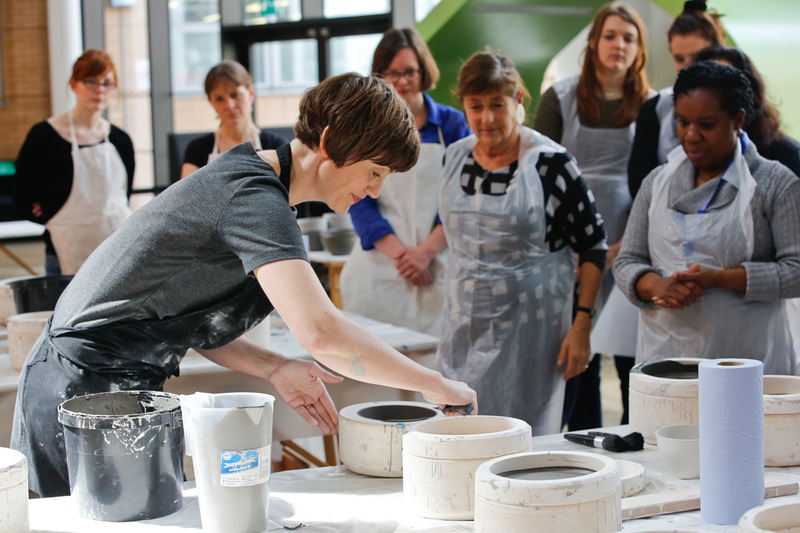 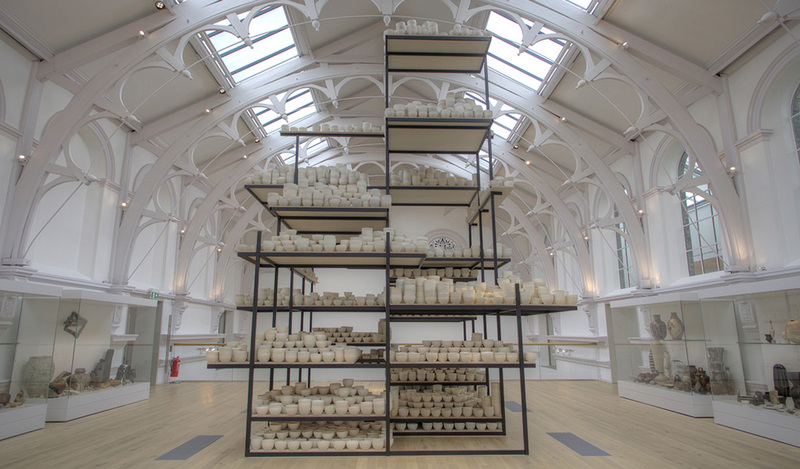 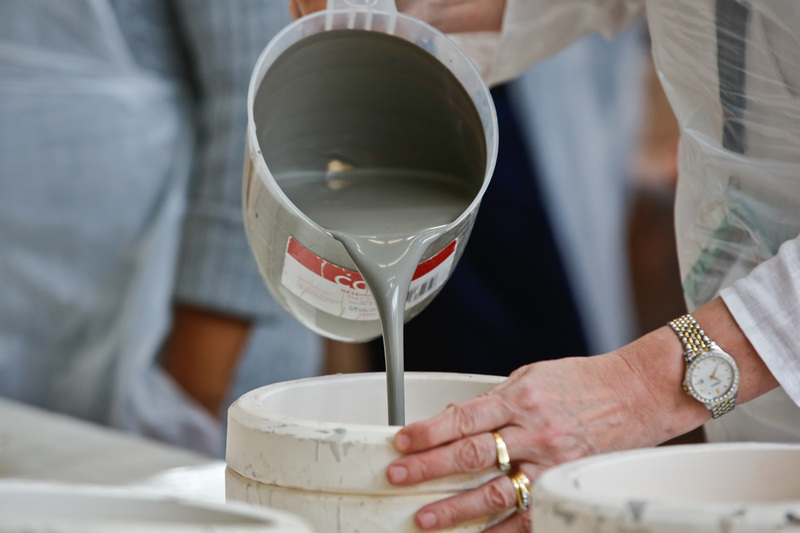 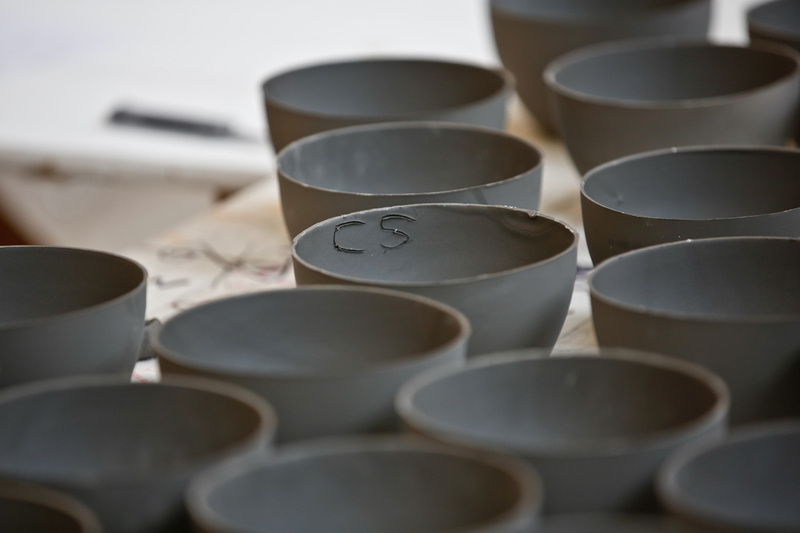 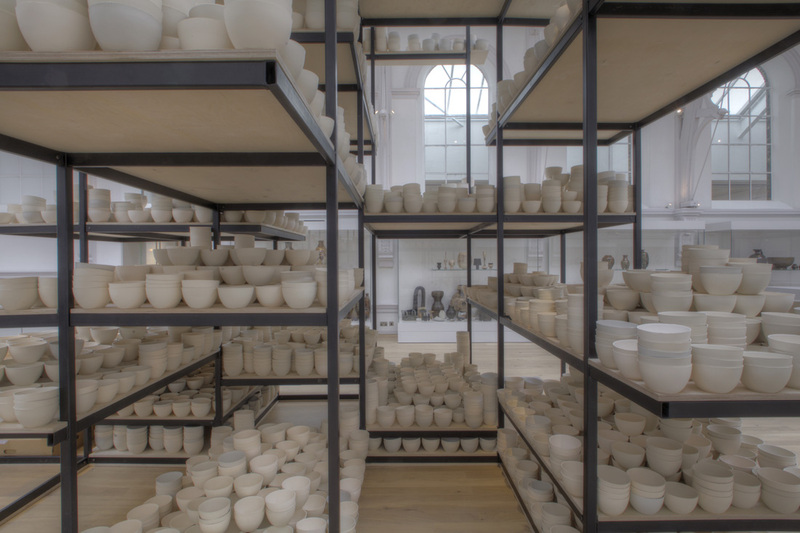 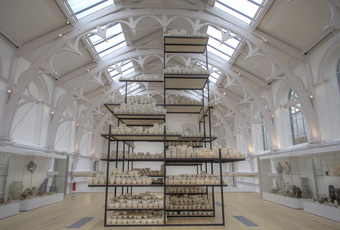 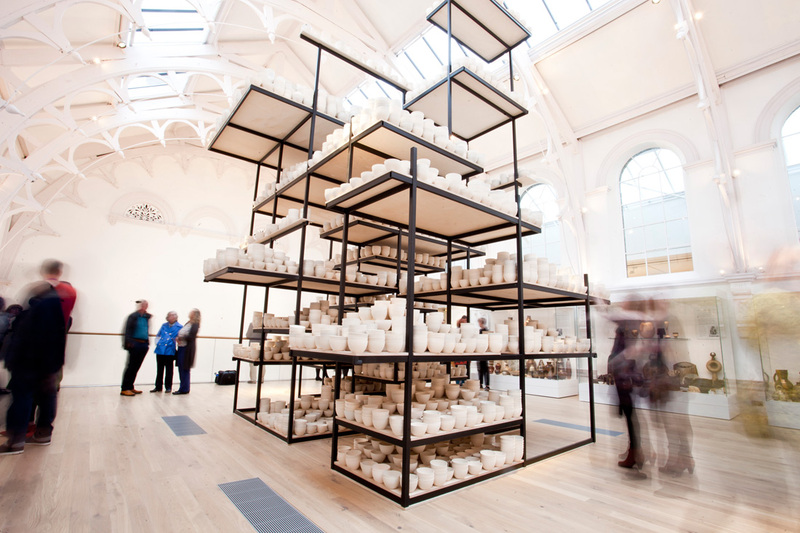 The project’s emphasis on skill was derived from the world-leading collection of British Studio ceramics at the gallery, donated by Reverend Eric Milner-White, Dean of York, W.A. 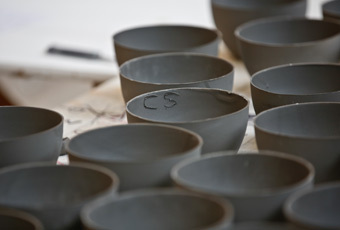 Ismay (the UK’s most prolific collector of post-war British studio ceramics), and Henry Rothschild. 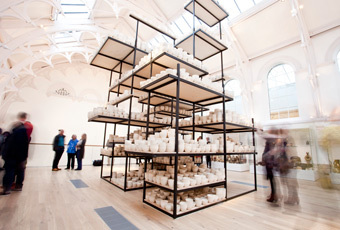 The final work displays the 10,000 hours which, reputedly, it takes to become a skilled maker/craftsperson. 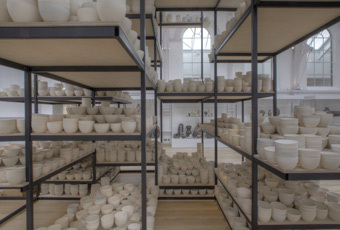 The York studio ceramics collection clearly displays the transmission of skills and techniques across generations of makers, who have shared in a community of endeavour. 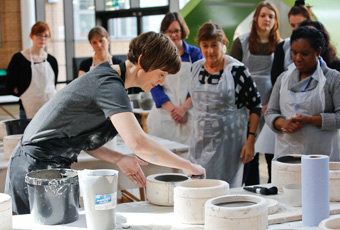 Working with hundreds of participants to the project 10,000 bowls were made in public works shops to explore making and skill in the creation of this work.